To celebrate the 25th anniversary of the HEAD Radical tennis racquet, HEAD has a few releases for the die hard tennis fan and collectors. 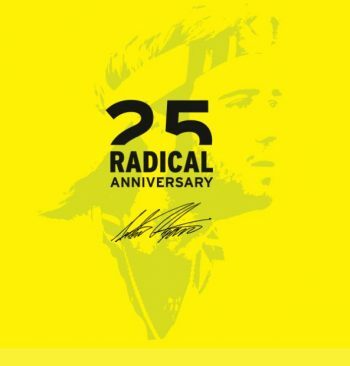 Andre Agassi carried the banner for the Radical series from 1993 until his retirement in 2006, and no iteration of the racquet is more iconic than the “Bumble Bee” from 1993. The HEAD Radical OS LTD has a simplistic yellow and black color scheme that is tame by today’s standards. The frame’s oversize 107 head is also a call back to an era when manufacturers made heavy players racquets in the OS category. You still see oversize racquets today, but mostly of the ultra light and powerful variety for players with more compact swings. At around 12 ounces strung, I dare say the Radical OS LTD is on the short list of the most stable frames ever made. The 18 x 19 string pattern plays pretty open on the oversize head, so spin is fairly easy to generate. Where the Radical OS shines through most is when stalking the baseline and using the mass and head size to take the ball early just like AA himself. The extra room on the string bed provides some margin for error, meaning you don’t have to be as precise as you would with a mid or mid-plus. The racquet is perfect for Agassi fans, racquet nerds, or players curious about a frame from a different era. The Radical comes prestrung with HEAD Lynx (in Anthracite), features the HEAD Pro Overgrip (Agassi’s choice), and even has two rubber bands to use as a vibration dampener. Please note: Denim shorts, Du-rag, and hair extensions not included. At right, the HEAD Radical OS LTD.
HEAD has also brought to market a Graphene Touch Radical MP LTD. This model is the same as the current Graphene Touch Radical MP, but with a 2018 riff on the 1993 Bumble Bee schematic. 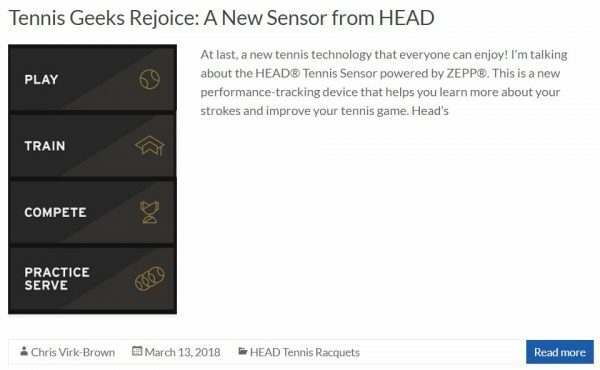 The 98 square inch head size is a little more maneuverable than the OS, and features a lighter weight more conducive to the spin-crazed play of today’s tennis. The MP features a 16 x 19 string pattern, and comes pre-strung with Lynx (Anthracite). HEAD includes two rubber bands (Agassi’s choice for vibration dampening). The Graphene Touch Radical MP LTD shown below. HEAD didn’t stop with 2 Radical LTDs. They also have a retro, Radical-inspired 6-pack tennis bag. The bag is mostly black, and has a black webbing pattern along the top of the zippered compartments. “Radical” and “HEAD” are transcribed in yellow along with a black-on-black HEAD logo on the outside. 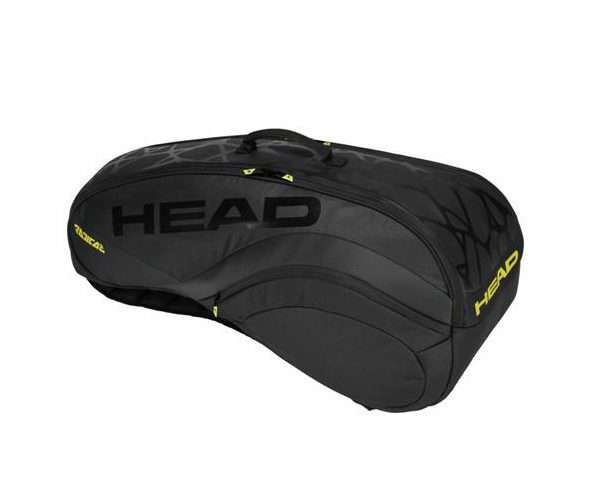 The bag has a 6-racquet capacity and two main compartments. One compartment contains CCT+ (Climate Control Technology) to keep your racquets protected from extreme temperatures. The other racquet compartment has a yellow interior to make your gear easier to locate. Two exterior pockets are perfect for smaller accessories, while the bag itself can be carried with a shoulder strap or the built-in backpack straps. The bag is tailor-made for any fan of the Radical line, and is a perfect match for either of the LTD racquets. Below: The Radical LTD 6-Pack Bag in all it’s glory! Not to bury the lead here, but HEAD has a shoe update for us as well with the new Sprint SF. Taking its cues from the Sprint Pro lineage, the Sprint SF is an industry-first partnership with SuperFabric®. The upper material is designed to be incredibly durable, but also ultra-lightweight. The shoe’s upper utilizes SF vamp material, and features a full-sock construction and EVA sockliner. 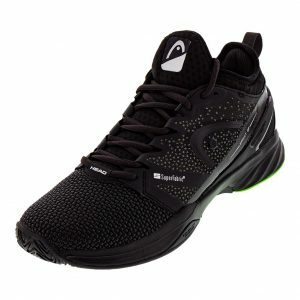 HEAD has specifically engineered the Sprint SF with a minimal heel-to-forefoot drop to keep you connected with the court surface. Did I mention they come in black? Sprint SF below. SF stands for SO FAST, or Super Fab, or SuperFabric®…whichever you prefer.